The Inland Waterways News (IWN) is published quarterly and mailed to members directly. 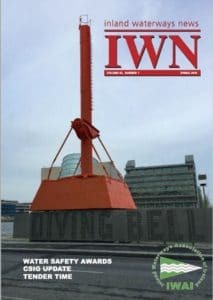 You can view a complete sample copy of the IWN (the Spring 2016 issue) from here. If you like what you see then why don’t you join the IWAI. Water Safety Awards, CSIG Update, Tender Times and much much more.